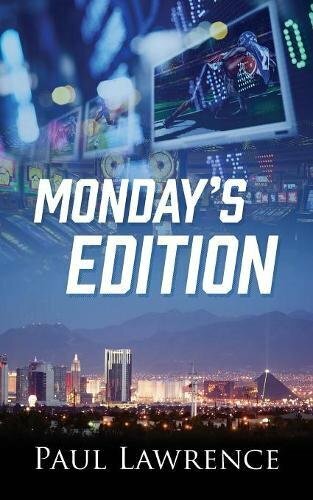 “Monday’s Edition” is an entertaining debut novel from Paul Lawrence readers will want to devour in one sitting! Martin Adams is a single, middle aged, self-employed IT professional. His number one hobby is sports betting. He enjoys hanging out with the guys at the place where he bets on weekends. Everything suddenly changes, when he is given access to winning information. His anonymous source remains consistent, yet still very mysterious. I really enjoyed reading “Monday’s Edition” by Paul Lawrence. In addition to enjoying a fun, suspenseful novel, I also learned a lot about the history of Las Vegas, football, and gambling. It is eye opening to see how the gambling industry works. The author did an excellent job of both educating me and keeping me on the edge of my seat during most of the novel. While the ending tied things up nicely, it was a bit anti-climactic because the rest of the story was so suspenseful. I definitely would love to read more novels by this author and I hope that Martin Adams gets another episode.